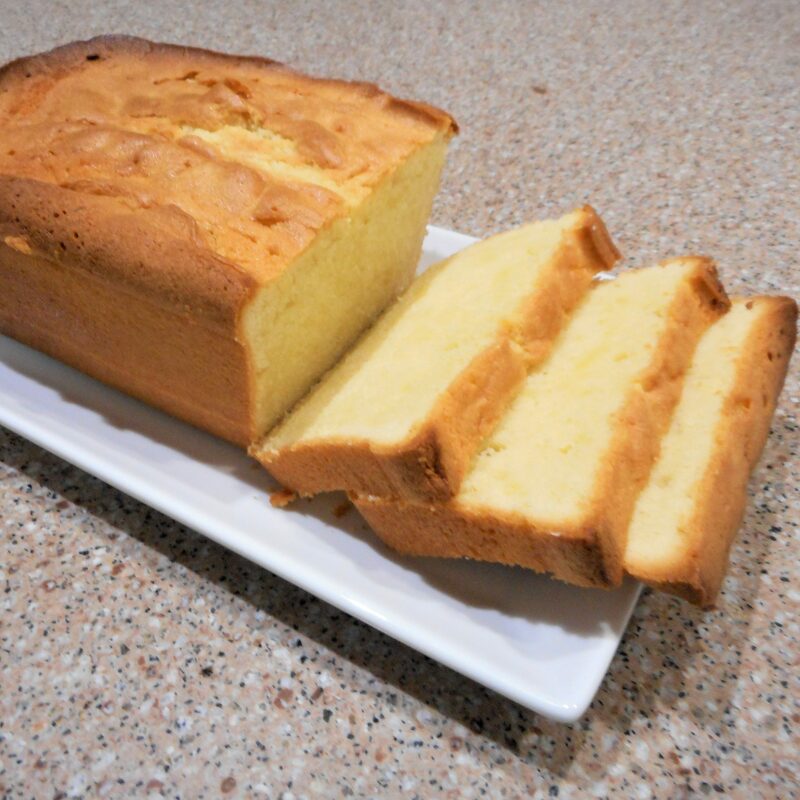 This is the easiest pound cake recipe I have ever tried and has been the most reliably successful for me. Unfortunately, I do not know where the recipe came from to give the creator credit. 1. Preheat oven to 325°F. Grease two 9x5x3-inch loaf pans and dust with flour; set aside. 2. In large mixing bowl, beat sugar, butter, cream cheese and extracts for 4 to 5 minutes, until very creamy and light in color. Add eggs, one at a time, mixing after each addition. Sift flour, baking powder and salt. Add to the sugar mixture, one cup at a time, mixing well after each addition for a smooth batter. 3. Spoon batter evenly between 2 prepared pans. Cut through batter several times with a knife to break large air bubbles. 4. Bake 65 to 70 minutes, or until toothpick inserted in center comes out clean. Allow loaves to rest 15 minutes, then carefully, using a butter knife, release loaves from sides of pan. Remove from pan and cool right side up on rack. 5. Cool completely, slice and enjoy. Store any remaining cake in plastic wrap.